The IPL 2018 will start from April 7th with Mumbai Indians taking on Chennai Super Kings. The expectation for the IPL 2018 is beginning to reach unbelievable heights. After a decade of entertaining cricket fans, IPL will step into the new era with the return of Chennai Super Kings and Rajasthan Royals back in the tournament. IPL has been the best platform for many homegrown players to showcase their skills and stake a claim for the Indian team berth as well. However, apart from the Indian talent, IPL has also introduced many new talents from other countries as well. These talents have made a big splash in the IPL and helped their international careers as well. Many established foreign players have also showcased their might in the league and with the 11th season about to begin from April 7th, 2018; we have chosen five such foreign talents, who have the x-factor to make a big impact in the Indian Premier League 2018. Glenn Maxwell returns to his very first franchise in the IPL, Delhi Daredevils. He played with much distinction for his next franchise, KXIP in IPL and even captained them in IPL. Maxwell has played 57 matches in IPL and has scored 1228 runs with highest of 95. His strike rate is 164.39 in IPL, something that gives him an edge when it comes to giving impetus to the innings. Maxwell also holds the record for the second highest score in T20I's of 145* against Sri Lanka. However, it’s his X-factor of taking the game away from the opposition in a matter of overs, thanks to his hitting abilities. Given that he also bowls some spin, adds to his abilities that he can utilize for his DD team and add to their strengths. Pat Cummins had a very successful IPL 2017 in terms of impact with the ball with 15 wickets in 12 games for DD. Now he moves to Mumbai Indians and replaces one of the pillars of MI in Lasith Malinga as one of their premier foreign fast bowlers. Cummins is gifted with speed that comes to him naturally. He can bowl over 145kmph easily and with only 4 overs to bowl in one match, he can easily make an impact with the ball in short bursts. Cummins will also love to bowl on the Wankhede pitch, which gives some encouragement to the pace bowlers. Pat Cummins will be definitely one of the most exciting bowlers to look forward to in the IPL 2018 season. Ben Stokes will be expected to showcase a replay of his exploits of IPL 2017 season, where he took the Rising Pune Supergiant to the finals of the tournament. Stokes was bought by Rajasthan Royals in the IPL 2018 auction for INR 12.50 cr. 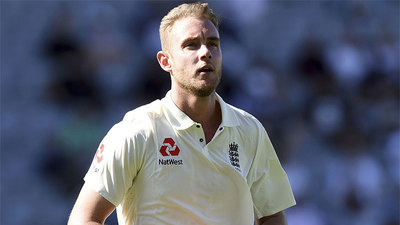 Stokes is often compared to former England all-rounders Sir Ian Botham and Andrew Flintoff in terms of charisma, skills, and ability to win matches single-handedly. Stokes proved that in his IPL 2017 season and RR went all out to acquire his services. They will rely heavily on Stokes now that Steve Smith will miss the tournament thanks to the suspension levied on him by IPL commissioner Rajiv Shukla. Stokes can hit the big shots at will and will give you wickets in the four overs he will bowl in the match. Stokes will definitely be one of the most exciting cricketers to watch out for in the IPL 2018. Alex Hales was hired as the replacement of David Warner by Sunrisers Hyderabad (SRH). One of the most devastating openers in the world of cricket in recent times, Hales has previously played in IPL for Mumbai Indians. Hales was the first batsman to score a T20I century for England and the first batsman to get out on 99 in T20Is. In 52 T20I matches, Hales has scored 1456 runs with the highest score of 116* and a strike rate of 136.32. Hales also held the record for the highest ODI score by an English batsman (171) for a long time, before he was bettered by his opening partner Jason Roy (180). Given that Hales will receive a lot more game time for SRH and will be expected to perform fireworks at the top. Chris Lynn is likely to play for Kolkata Knight Riders (KKR), as he has hit the nets after spending time healing his shoulder. Lynn had been devastating for KKR in the IPL 2017 and his ability to destroy attacks has left many fans in awe. He scored 295 runs in 7 matches at a strike rate of 180.93 and a best of 93*. KKR will be hoping that Chris Lynn can be available for them throughout the IPL 2018 so that their side can have a safe passage to the playoffs. Not only the KKR fans but fans of IPL, in general, will be waiting for the ‘Lynn-Sanity’ to be unleashed in the IPL 2018.